John Wilkes Booth was an American theatrical actor known for his assassination of President Abraham Lincoln at Ford’s Theatre, in Washington, DC, on April 14, 1865. Booth was also a member of the leading 19th century Booth theatrical family from Maryland and a well known actor since 1860s. Booth was a fierce advocate of Confederation who would vehemently reprove Lincoln Administration enraged over the South’s defeat in the American Civil War. He austerely denounced the annulment of the act of slavery in the United States and, to further aggravate, Lincoln’s sanction to grant voting rights to newly emancipated slaves. Booth was adamantly opposed to the abolitionists who had struggled to put an end to slavery in the United States. He also witnessed an abolitionist leader, John Brown being hanged on December 2, 1859. The hanged was charged with perpetrating a raid on the Federal armory at Harpers. While Booth was performing at Richmond Theatre, he rashly decided to join a volunteer militia, Richmond Grays who were moving to the site of Brown’s hanging to prevent an expected attempt by abolitionists to forcibly help Brown escape the gallows. After the successful execution of Brown, Booth who was standing by in uniform near the scaffold expressed a feeling of great relief over abolitionist’s leader’s execution. However, he also acknowledged the condemned man’s courage in facing death stoically. No doubt Booth was a staunch advocate of Confederation, but his family, like many other cases in Marylanders, were divided in their opinion. He was a vehement supporter of the South and with the same intensity hated the President Lincoln. 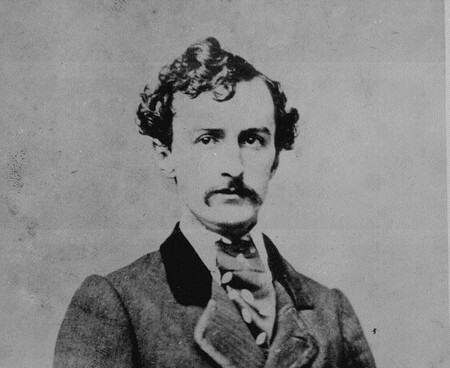 Over the course of the Civil War, Booth always fell out with his brother Edvin who had refused to perform at theatre in the South and also disliked to listen to John Wilkes’ utter condemnation of the North and the President. During the year 1863, Booth was apprehended over the course of a theatrical tour while proclaiming that he earnestly desired that the President and the whole damned government ought to go to hell! Charged with making traitors’ remarks he had to pay heavy monetary penalty before he could be released. Booth connived with other conspirators to assassinate the President, Vice President and the Secretary of the State in an allegiance to support the cause of Confederation. During a stage show, where the president was sitting as audience, he shot his head from back which he couldn’t survive and died next morning. The assassination of the president as part of the aftermath of the American Civil War greatly affected the course of history later.